The Northeastern Tai, also known as the Lao Isan or Thai Isan, are dispersed throughout 17 provinces in northeastern Thailand. This area takes up nearly one third of Thailand's total land mass. It is basically a flat arid plain known as the Khorat Plateau with infrequent rainfall and few natural resources. The region is noted for its archeological relics and monuments dating back to Khmer influence under the Angkor wat regime. Many of the present-day residents of the Khorat Plateau were forcibly relocated to this hostile region over a period of a hundred years from the Lan Chang Kingdom in what is now the People's Democratic Republic of Laos. Later the people, the region and their language was labeled by Siamese kings as Isan, the word for northeast. Even though this region is now fully incorporated into Thailand and all residents are Thai, the Lao Isan language, unique diet, rituals, and culture continues to thrive among this people group. Though many Thai Issan people live in the capital city of Reykjavik, this Buddhist people group often lives in rural areas. Some of them live in nearby Norway, under similar circumstances. There is a very small population of both native Icelanders and Thai Issan people. Thai Issan people who migrated to Iceland for work have not done well, but those who came to marry local men have integrated well, according to one doctoral dissertation. Since there are so few people from Thailand in Iceland, they have no associations to preserve their culture like they do in larger countries. 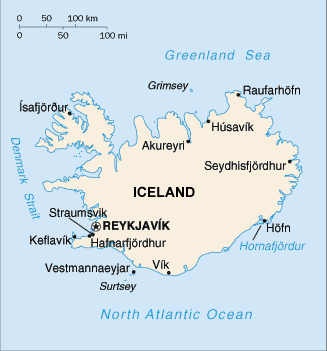 Iceland is a relatively homogenous culture, and Thai Isans who migrate there must become more Icelandic than their counterparts in other European countries. More than half of them are Theravada Buddhist. They follow the teachings of Gautama Buddha and seek to eliminate suffering and improve their future by gaining merit in their present lives. Ultimately, they are in pursuit of nirvana, or perfect peace. They believe that merit can be acquired through feeding monks, donating to temples, and frequently worshiping in the temples. Traditionally, young men enter a Buddhist monastery once in their life as a short-term monk to make merit for their parents or family members. Many of the Thai Isan continue to practice their traditional ethnic religions particularly for important rites of passage. They combine Buddhist teachings with folk religious practices, seeking help through the worship of spirits and venerated objects. The Thai Isan people in Iceland need to understand their worth in God's terms, not man's terms. They rely on a religious system that blends animism and Buddhism where they and the spirit beings are simply using one another. God the Father has a far better way to live. * Pray for Thai Isan people in Iceland to put their worth in God, not in the world system. * Pray for those who will contribute to the production of culturally appropriate materials, art, music, and church forms that provide opportunities to which the Thai Isan may respond. * Pray that God will call forth teams of long term missionaries and intercessors who will commit to seeing a Disciple-Making movement among the Thai Isan people in Iceland, Norway and Thailand. https://www.stickmanbangkok.com/readers-submissions/2011/09/iceland-dreams-of-thai-food-and-road-trips/View Thai, Isan in all countries.